Chard is an easy and versatile green that finds its way into all kinds of dishes at our house. With frozen puff pastry, making the tart shell is a snap. The tart dough can either be fitted to a pan with a removable bottom or be slightly rolled out. I prefer the latter since it makes a more finished look and I find the scraps of dough useful for other things. I make this with green chard only since the multi-colored or red versions make a muddy looking product. I sometimes precook the chard since I get armloads full of it at our CSA and it won’t all fit neatly into the refrigerator. With the chard prepared in advance, this is a pretty quick meal to assemble on a weeknight, although with the baking and cooling time, it will take about an hour. I have also added corn and/or sliced or diced red pepper to this, but the simplicity of the chard alone is terrific. 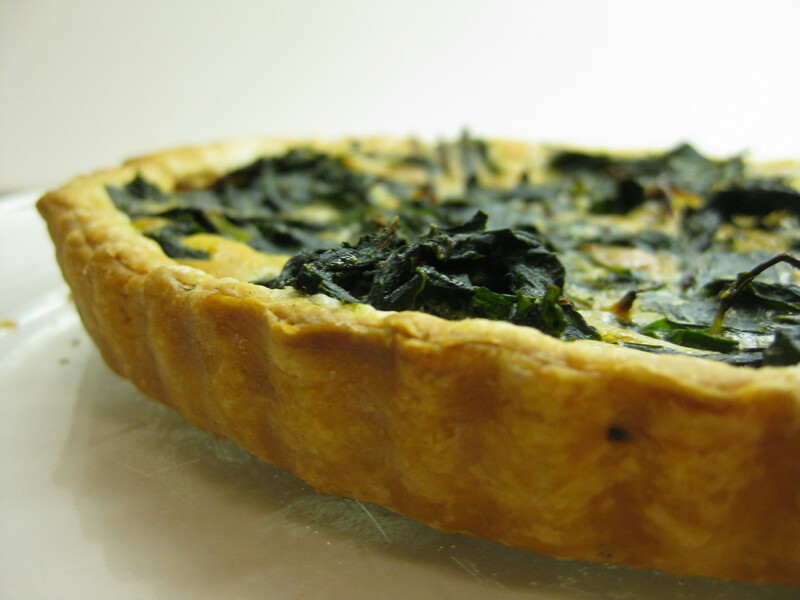 Prepare the tart shell and set aside in the refrigerator. Saute the onion in olive oil slowly until well cooked and nearly brown. Add the garlic and stir to combine. Prepare the chard. Wash the chard well, strip the ribs and reserve them for another use. Cut the leaves into ½-inch chiffonade (slices), allowing some water to cling to the leaves. When the garlic releases its aroma, add the chard and cook, stirring, until the chard is wilted, 5-6 minutes. Drain and cool. Preheat the oven to 400 degrees. 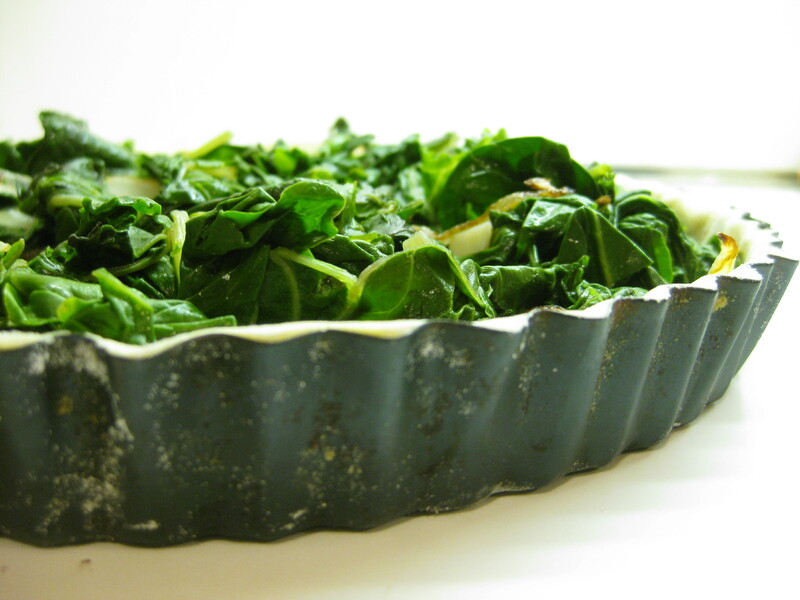 Place the chard mixture in the bottom of the tart shell. Sprinkle with nutmeg. Lightly beat the eggs and cream together, season with salt and pepper and pour over the chard. Bake until puffed and golden, about 40 minutes.